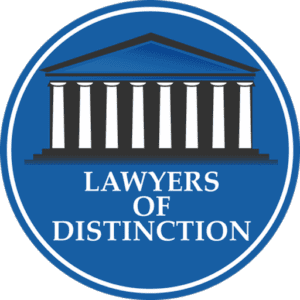 Special needs children and divorce | Law Offices of Kelley A. Joseph, P.A. On behalf of Kelley Joseph of Law Office of Kelley A. Joseph, P.A. posted in Child Custody on Monday, November 7, 2016. Parents of children with special needs must work tirelessly to make both their own lives and the lives of their children as normal, happy and stress-free as possible. Fortunately, many parents are able to achieve this for themselves and their families. However, when divorce is entered into the equation, it can represent a significant challenge to the balance and harmony one has worked so hard to achieve. -- Child support: When establishing how much money a parent is required to pay in child support, Florida courts will consider the unique costs associated with raising a child with special needs. Those costs include the costs of medical therapies, in-home services, special equipment and accommodations needed at home, special schooling and more. -- Parenting plans and child custody: In order to provide the best care for a child with special needs, while ensuring that both parents are in the life of the child, a unique style of parenting plan may be required. In these circumstances, the parenting plan must also honor the needs of other children in the home. -- Spousal support: Spousal support for parents of children with special needs may need to take into consideration the fact that one of the parents might be a full-time caregiver for the child. If the caregiving parent is now going to be independent of the other spouse, it may be necessary for a divorce agreement to provide an extended amount of spousal support to the caregiving parent to ensure that he or she has adequate time to prepare for and eventually re-enter the workforce. At the Law Offices of Kelley A. Joseph, the founder of our firm happens to intimately understand the fact that parents of children with special needs also have special needs of their own. That is because she is the parent of a special needs child herself, and is highly familiar with the many details -- both emotional and legal -- that Florida parents of children with special needs must navigate in their divorce proceedings.